According to family lore, before some of ancestors became Dominican, they were Venezuelan. The reasons why the Venezuelan part of our family hopped over to the Dominican Republic have been lost in family history. Who knows why people pick up and leave the country of their birth? 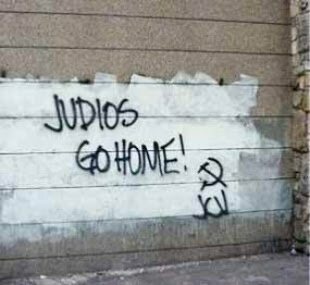 Well, it’s no secret why Jews are leaving Venezuela in droves. Previous Post How do I show my children they can be biracial and Jewish? Next Post What are you? Well, I think this is partially the work of Hugo “El Pendejo” Chavez. The hammer and Sickle seem to confirm it.